It is Sunday and quiet in the Stallbacka, the industrial area of ​​Trollhättan. The sun is making its way through the clouds, it draws a delicate autumn light on the old halls of the former Saab factory. As if she wanted to cover her slow decline with a gracious light. It is quiet, very quiet even. Only from the former test track directly at the factory word fragments fly over. Autumn days in Trollhättan. Volvo V60 in front of the old Saab factory. But it is not a trial operation on the site. A sports event, a half-marathon, provides for that day for some life. But otherwise: emptiness and sadness. A few NEVS vehicles are parked in front of the former headquarters, and a lonely pile of brand-new Volvos is parked on the delivery area. Trollhättan in October 2018. NEVS vehicles in front of the former head office. It's Sunday in Trollhättan, the stablebacka is deserted. The Saab factory no longer produces cars, the insolvency administrator has switched it to standby. A hum of the huge plant is always present in the background. The factory is sleeping, but she is ready. Could build cars, 150.000 pieces a year ... if someone came and pressed the switch. On the visitor parking lots are an 9-5 NG, two 9-4x and two pre-series sports combinations. 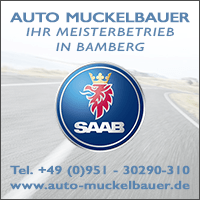 They are waiting for the Saab Germany delegation, which will pick them up this Sunday. The dealer's tour is about to begin, a final battle for the survival of Saab and the factory. The keys for the vehicles are available at the security service. The Swedish autumn sun draws a beautiful light, covering the drama that has been going on here for months. The Saab Museum. It's Sunday, the tourist season is over. A family and another couple stroll through the exhibition. Visits are snapshots, and on this day the mood is dull. The volunteer veterans are not in the mood for the few visitors, they leave them alone with their questions and interests. In the middle of the exhibition stands a NEVS prototype. 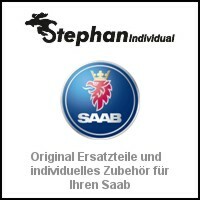 Donated to the museum, the very last idea from the Stallbacka, which carries the Saab lettering. The end of a story 1947 began. Actually, the 9-3 sedan with the eye-catching Turbo logo should have been the prelude to a special series. The design was not realized, the Saab trademark rights were lost, the production never really got going. It stayed with the one design that was soon forgotten and only came back to the public for the Saab Festival 2017. There it stands now. As a reminder and as the end of a long history. Saab Museum October 2018. The last Saab prototype. Actually, there should have been a turbo special series from NEVS, which would have looked like this. Things are bad. It's not just the Saab factory that's having problems. 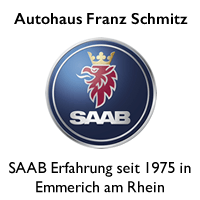 The historic Saab collection belongs to Saab Automobile AB. And like these, the Saab Museum is in trouble too. The halls at the Göta Älv are only rented, owners of the former NOHAB halls is the real estate company of the city Trollhättan. She has not seen rent for months. And also electricity, water, heating, everything is open. 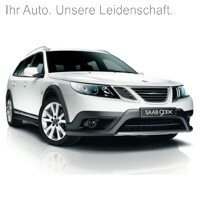 What's next with the collection, which the Saab story since 1947 completely maps? Will the treasure survive and stay at the site? Or will the collection be distributed all over the world? The local newspaper of Trollhättan goes a stony path. She has barely survived the bankruptcy of her publishing group, and the editors have endured a tough austerity program in recent years. Gone are the exciting years that culminated in 2010 through 2012. The newspaper has shrunk to what it has always been: the local leaf of a small provincial town. The contents are usually subject to a charge, even if one only reproduces a press release. The topics are other than 2011. Today one reports predominantly about cats, which sit on trees and wait for courageous rescuers. Also like about moose. Those who desperately get lost in supermarkets, offices and front gardens in the hot, dry summer. Because they can not cope with the drought and with the kimawandel. Or about dead moose. Because autumn is hunting season, and proud hunters are allowed to kill proud animals on these days. The TTELA. Once sharp, medial sword. Today is written about kittens and moose. Newspapers make opinions. And newspapers can also be sharp weapons. The TTELA is one. For months, the latest horror messages are stabbed daily from the Saab factory. When something goes wrong, when it crashes into the management, or when the suppliers go on strike. Someone then picks up the phone, informs the editors, and the message goes online. Unfortunately the news usually hits. The daily horror from the Saab factory can be called up in real time, fast, the TTELA is the source of information for bloggers and Saab interested around the world. The views of the pages fast up, the advertising revenue bubble. It increasingly loses sight of the fact that one could damage the automobile industry and the city. Every city has a soul. Trollhättan was basically an industrial city. Not nice, but located in a wonderful landscape. The city owes its existence to the waterfalls, where everything started. Iron hammers, blacksmiths - from which later formed an industry. Power plant turbines, aircraft, steam locomotives, diesel locomotives, aircraft engines, cars. Names like Nydqvist & Holm, Nohab, Saab and Volvo Aero are all closely linked to the history of the city. Trollhättan is not bad. 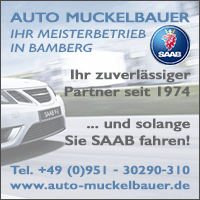 Since the end of Saab and automobile production many new companies have joined. Trollhattan grows, new buildings everywhere. And yet: the soul - it seems lost. The carmakers, the trade unionists, this harsh but cordial company, where has it gone? Trollhättan has become smarter. The newcomers no longer work at workbenches. They come from IT, they are engineers, software developers. It's strangely quiet during the week. Trollhättan transforms to the sleeping city. Living in the favorable province, working in the metropolis. Commuter trains transport people quickly to the industrial suburbs of Gothenburg and Hisingen to Volvo. Hardly anyone commutes in the opposite direction. And the future of Stallbacka? The future, when the car factory in the stablebacka has one, is decided in China. In Sweden itself, the Chinese owners of Saab real estate no longer play a role for a long time. The TTELA does not have them as an issue, the national newspapers anyway not. Why, there is nothing to report. The question of the future is open, perhaps Trollhättan has long since exceeded its industrial peak. As things stand, it seems unlikely that there will ever be another car production in the city. Young, Swedish startups like Uniti build innovative electric cars. But they do not need any dinosaur complexes like Stallbacka. 25 thoughts too "Autumn Sundays in Trollhättan"
It is a pity that SAAB Defense does not financially participate in the museum. 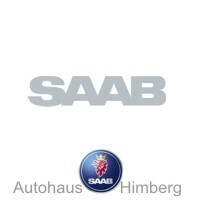 I've always hoped that perhaps a carmaker might be interested in SAAB automobiles, but I've given up hope. "(...) because proud hunters are allowed to kill proud animals on these days." Great written. The contribution has at times lyrical qualities. The fact that the story is still sad, lies solely on the subject. And I do not have to comment further. Everything is there. So just a big praise and thank you to the author. It's a shame that it happened like that. NEVS is just more hot air in my opinion. The Facebook appearance is only about marathon races or other events that do not have much to do with car manufacturing. For SAAB Defense, the preservation of the museum would probably not be much money. Apparently, it should not look so good there economically, therefore, such items are certainly the first to fall victim to the savings pin. What a pity it ends so. And I'm convinced that it came to an end when NEVS decided to invest in China and not in Sweden. Why it could not go on then is only business to explain. Nobody was willing to invest anymore. Unfortunately, Geely and Tata were already satisfied and there was no third the desire to have a luxury brand to take. Wish that only the man let us live on this museum at least. If Sweden and also the city of Trollhattan does not commit itself to submitting this demonstration of creativity and reform in the automotive sector, that is not understandable. Drueccke my fingers crossed that it would not come so far. Thanks, Tom for those autumnally melancholic lines. All said, well taken. NEVS is "out of the window" ..., unfortunately it fits in with the story, which was completely "unhappy" in total (!). But it also shows that change is possible! Unemployment is not a compulsive consequence! How gratifying that Trollhättan evidently has not been harmed by change! It should therefore also be in the interest of the city to understand this automobile museum as a separate story and continue to hold in the city at the Göta Alv !!! and it still does and wehhh. The old love that you see across the street, and the self-employed goes over. Everything is clear in the head, yet the wave of sadness is streaming again. Especially, after such a post! Tom, thank you for that. 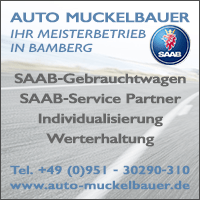 All in all, I am happy to have spent a large part of my motoring life with SAAB genußvol. I've had them, the car throws SAAB. Thanks for this great report and the whole summary about Trollhäten! Thanks for this soulful report. It is more than a pity that SAAB went under. 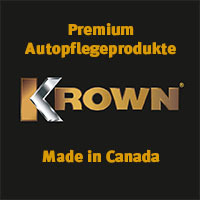 More and more sonorous names go this way, the next is probably Alfa Romeo. Course of time, which unfortunately can not be stopped. Is there nothing new at NEVS? Not even bad news? Nothing that would be relevant, or what and or would help Trollhättan. But: We have not lost sight of NEVS and are still on the subject. In the American GM group, the decline has its origins - then there was the chain of unfortunate events, to incompetent insolvency administrators and NEVS. incomprehensible and remains in this context actually the biggest question mark. 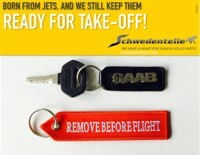 I think we Saab fans all have no sympathy for the attitude of the Swedish government. But the comparison with Renault is difficult here. Renault is after all a parastatal group. The state had to act. The difficulties with Saab I also see in the fact that the Swedes and the GM people have never really worked well together. The mentality and interests of both actors were always different. That could not be really good. Right. 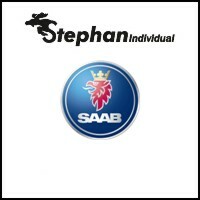 And as long as SAAB was part of GM, the Swedish state would have backed a US group brand. And if I understand correctly, this group has deducted at least indirectly capital from SAAB. By z. For example, questionable license fees were recognized in the parent company. The (disastrous) sales figures of recent years are known. And even this handful of cars has been achieved partly only with discounts in absurd height. Possible sales figures of coming years were at best in the coffee grounds. From time to time perhaps even possible black numbers not to mention. For many years I did not understand the "lack of help" on the part of the Swedish state. As good and correct, I certainly did not want to admit it. But over the years and in the course of many articles here on the blog, gradually formed another picture with me. The alternative to the "omission" would have been that the Swedish taxpayer would today sponsor Trump's America and GM and compensate SAAB's losses annually. 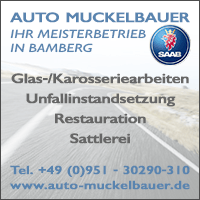 The way to independence SAABs was at the time of the last bankruptcy in about the same as that of any start-up to own and new cars. Support from the Swedish state for a traditional Swedish company would have made sense after the "GM motherhood". After selling for a short period of time, Spyker had opportunities to continue the brand - licenses for newer models should not be passed on to the Chinese. Trollhättan only needed a bigger cash injection to keep the business going - 9-4 and 9-5 station wagons had already been introduced and would probably have made big profits in production. As a fief, a Russian investor was known to be rejected - probably rightly, as he was involved in dubious business. At the latest at this time, the state could have jumped in. 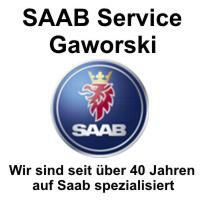 In the SAAB spare parts division, it was synonymous - although this is in my eyes, only a half-hearted approach. But at least better than no state action. I agree with Orio: Better than no government action. If the business case and sales forecasts had been positive (and properly communicated) despite GM's conditions, investors would have queued up. The Swedish state would not have needed it in our globalized world to save SAAB. Since all the protagonists sit from the founding, over the first own (turbo) engines, up to the final bankruptcy together in a boat and their decisions can only be meaningfully arranged and evaluated against the background of the socially and economically valid framework conditions. It is long since idle to want to make out one guilty party. You have to look at it holistically and at the same time more differentiated, you have to classify it correctly. The bankruptcy last had altogether different framework conditions, than the establishment and national interests of Sweden shortly after WW II. In the interim phase (acquisition by GM) were again completely different conditions. Hello Tom, thank you for this melancholic-atmospheric report, unfortunately so appropriate to the November blues. I was shocked to hear that now also the museum is endangered. Can we, as Saab fans, do anything about it? Hopefully the festival next year will not be endangered? The museum was endangered in the retrospective. There is no reason to worry, the sponsorship of the community is safe. Thanks for the quick and reassuring clarification, I had the subheading 2011 smoothly overlooked, sorry! It is a pity that Herbert Hürsch can not answer directly to his last text (no answer is displayed). In his view, it seems to me almost as the VW diesel fraud: There are no responsible or guilty. 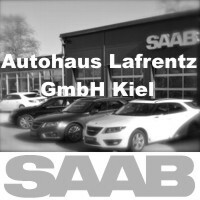 The demise of SAAB automobiles is probably not just the cause of GM's failure (years of mismanagement). This club went even as a whole in the bankruptcy - was then saved as a US-American group even with taxpayers' money! I keep in mind that this rescue method would have worked well with SAAB cars in Sweden - of course, a few numbers smaller. But under Spyker not only the new 9-5 but also the 9-4 X and a new wagon version of the 9-5 were in the pipeline as already written - here only a little more self-confidence with regard to the future production in Sweden was necessary. 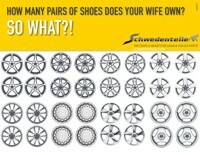 With bike chain would have nothing to do with the whole thing - but any discussions bring in the meantime nothing more. The Swedish state would have had to sponsor the US GM group to save SAAB. That's not his job. I have already said it all and can only repeat myself! 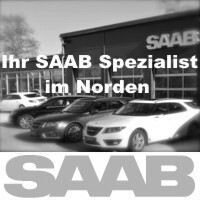 Unfortunately, you did not seem to hear that SAAB automobiles were sold by GM to another entrepreneur (Spyker). This much smaller entrepreneur, like the former GM mother, was constantly having financial problems and looking for capital. An entry by investors (possibly also state) would have brought GM at this time not much - but on the other hand, but was at GM with the demise of the former daughter completely satisfied because alleged later competition could not pay more. Do you want to kid me? I have specifically addressed the era of VM (Spyker). You can read that yourself and everyone else here on the blog in the comments above. Can not you read, or do not you want to? We do not have to come to a common view on the role of the Swedish state and the remaining opportunities at the end of the VM era. That would be perfectly okay for me! If SAAB (depending on the model and its engine) has to pay a certain price per car to GM (while red numbers are updated), how do you do that to a Swedish taxpayer (himself driving a VW, Kia or Toyota - at best a Geely?) ) convey? And yet SAAB would probably be alive today (alive and kicking) and all Swedes would be happy if Detlef Rudolf had said something in time. Yeah, well, what else? Do you really assume that with great new models permanently red numbers would have appeared? Where do you get that knowledge from - are you psychic or rather a bangbüx? Let's see what else is going on at NEVS (without Swedish support). If it works there, Sweden would not have much of it - who does not dare, who does not win! Next to the occupation of the SAAB works by NEVS will continue for a while ... hope this kind of Chinese industrial policy will soon come to an end ... by the way: according to recent press reports, electric cars in EU currently have up to 1 year delivery time - unfortunately NEVS does not have it managed to build which.